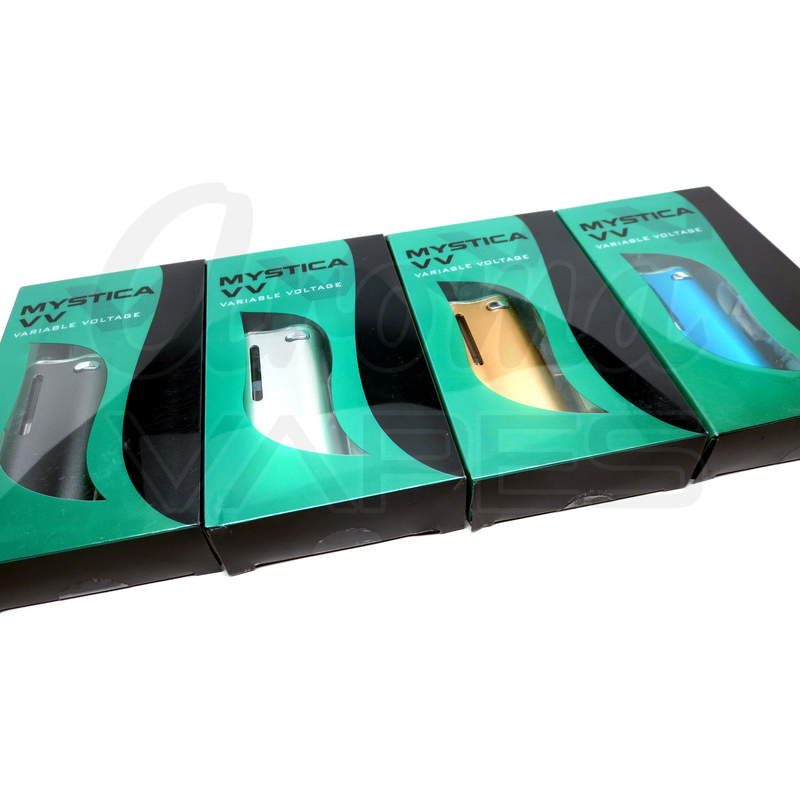 The Airistech Mystica VV is a new and improved Mystica battery from Airis now designed with variable voltage presets for full control over the quality of your aroma. It also features a preheat mode that will help to warm up the attachment before use to prevent clogging if needed. 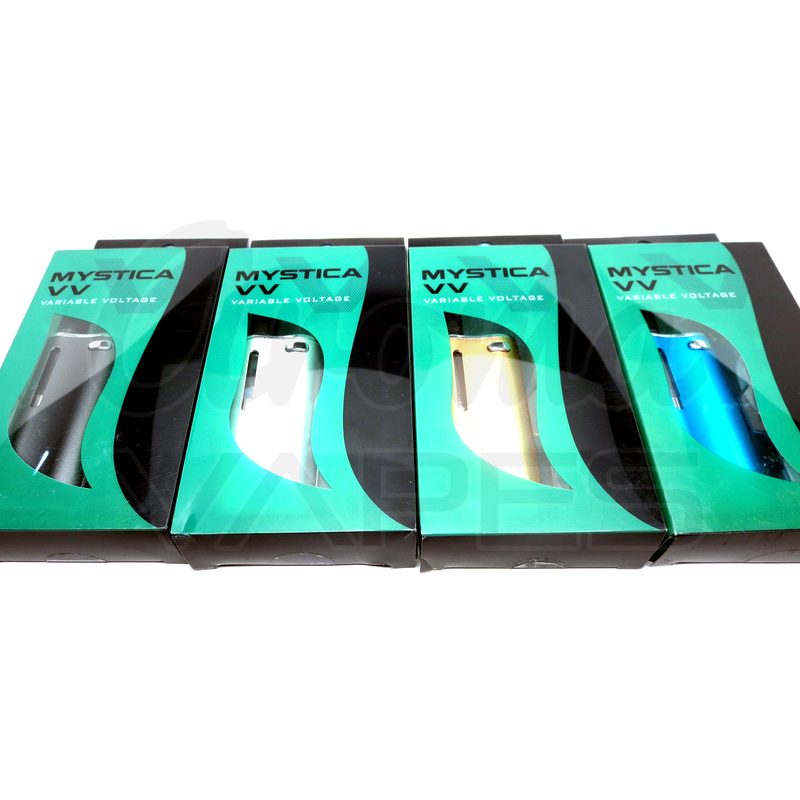 Measuring in around 2.5" tall by just over 1 inch wide, the Mystica VV device features a similar size body as the original that makes it perfect for discreet use while on the go. 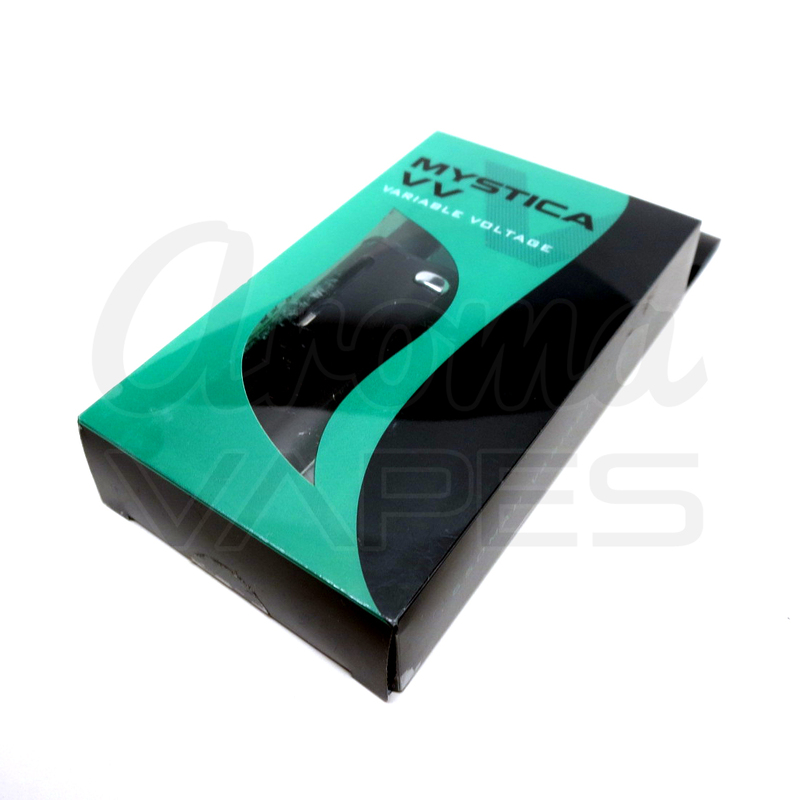 The Mystica VV's internal battery has been optimized to match most elements currently on the market. 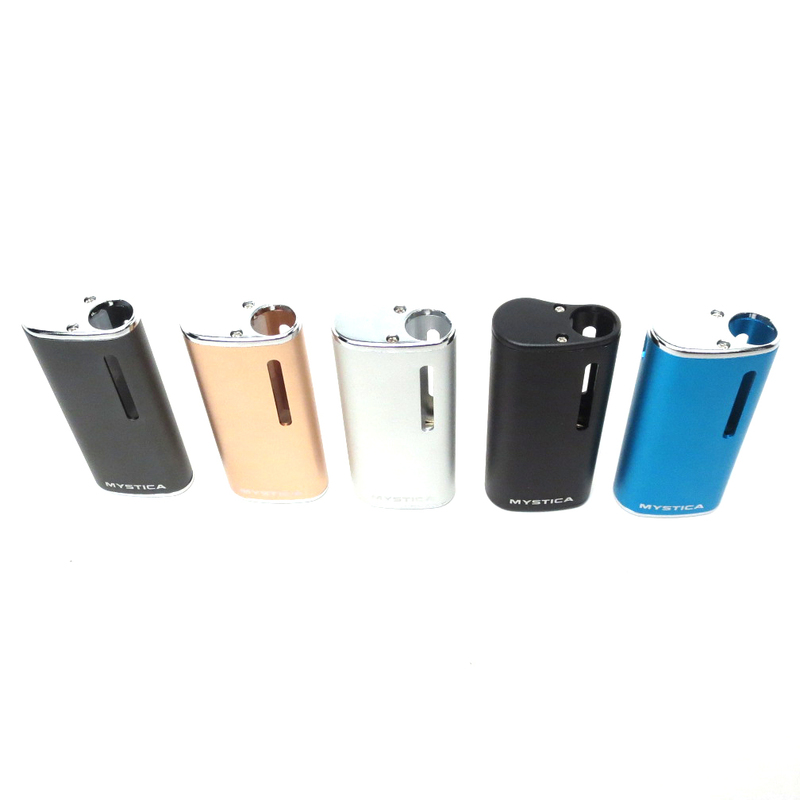 If you have your own prefilled aroma attachments, this device can be matched with most 510 threaded attachments that measure in less than 10.5mm in diameter. 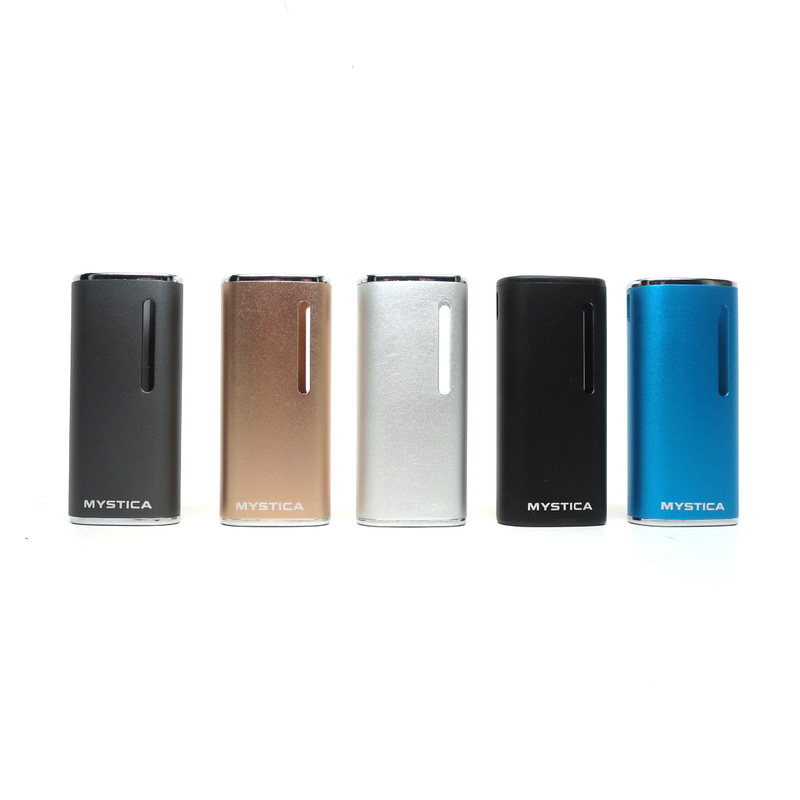 Simply attach one of the included magnetic adapters onto the base of your cartridge and drop it into the Mystica VV housing. 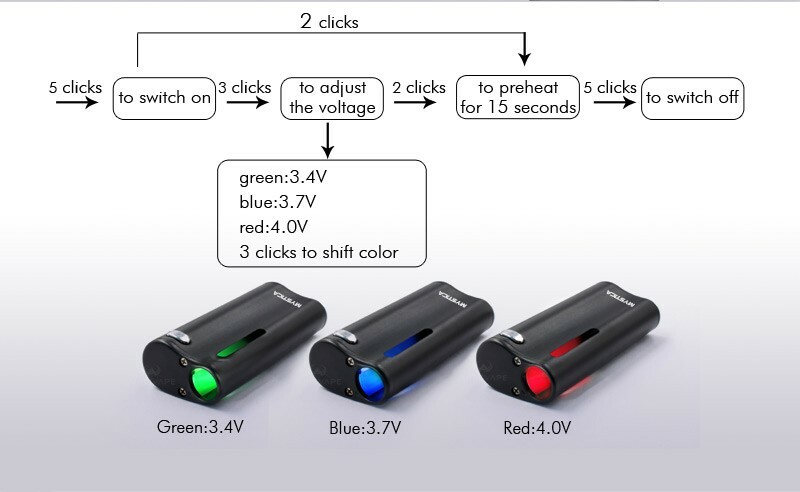 After selecting the ideal voltage level you have the option again to begin the pre heating process. 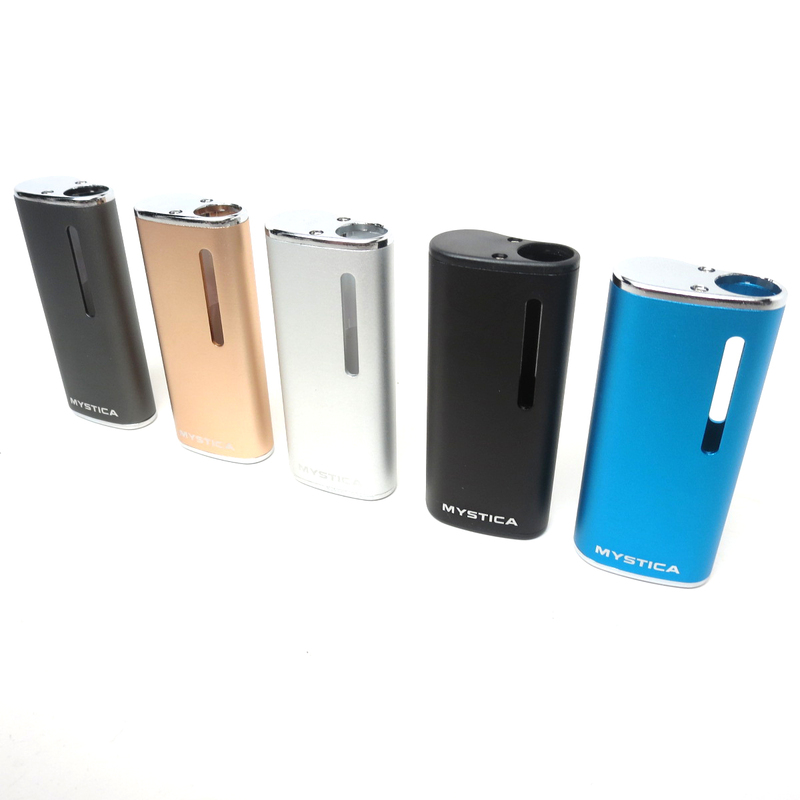 After press the power button 2 times quickly the Mystica VV will apply a slight amount of heat to your attachment for up to 15 seconds. After preheating you will simply press and hold the power button to activate while unlocked, as you normally would.